Panels of high quality black and brown leather come together to form the Riveted Leather Belt. Handmade with attention to detail, this historic inspired belt features stylish metallic rivets along the edges between each color. 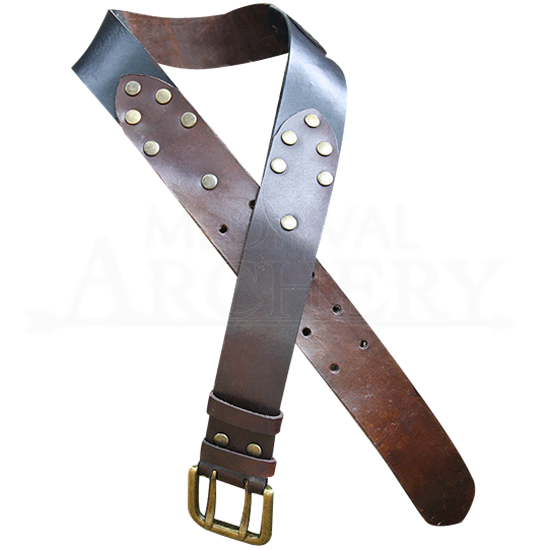 Great for a wide variety of historic reenactment events, the Riveted Leather Belt is a versatile accessory sure to match many outfits, making it ideal for medieval LARP gatherings and Renaissance festivals. This stylish and unique belt features a double pronged metal belt buckle and is pre-punched for convenience.